Start your routine with a warm-up. Spend 10 minutes on a cardio machine, and work up to a light sweat. COOL-DOWN: Finish your routine with stretching. Hold each stretch for 20 seconds. WEIGHT MACHINES: Most machines have instructions, and illustrations showing proper body alignment. Read the instructions so that you know how to use each machine. If you need more help, ask a floor trainer. Do not lift more weight than you can handle. If your face turns beet red, and you can’t breathe, you’re lifting too much weight. Overexertion leads to injury. Do not swing dumbbells. When weights are too heavy for your level of strength, you’re going to resort to swinging them instead of lifting. Learn how to control free weights. 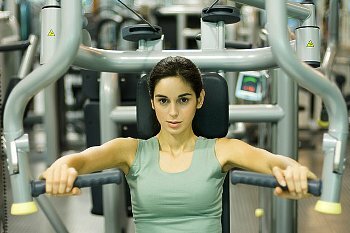 Barbells and dumbbells, known as free weights, are more difficult to use than weight machines, because you have to control the weight while using correct alignment. An out-of-control barbell is very dangerous to you and the people working around you. If you’re new to lifting, start with machines, not free weights. If you need advice, ask a trainer. Gym members are not a reliable source of information. Just because they belong to your gym, doesn’t mean they know any more than you do. Let your instructor know if you have injuries before the class starts. Ask their advice on whether the class is suitable for your level. Always wear athletic footwear when training. Proper footwear gives your feet support, and protects them from injury. This is a photograph of two women in their early twenties. Both have poor posture. If it’s not corrected, it will get worse. What does their body language say about them? Do they appear confident, heathy, fit, lethargic, dull, or happy? The way you carry your body, tells the world how you feel about yourself. Both women have an exaggerated curve in their upper back, their shoulders are rounded forward, their chests are caved in, their abdomens protrude, and their heads are forward and upright. 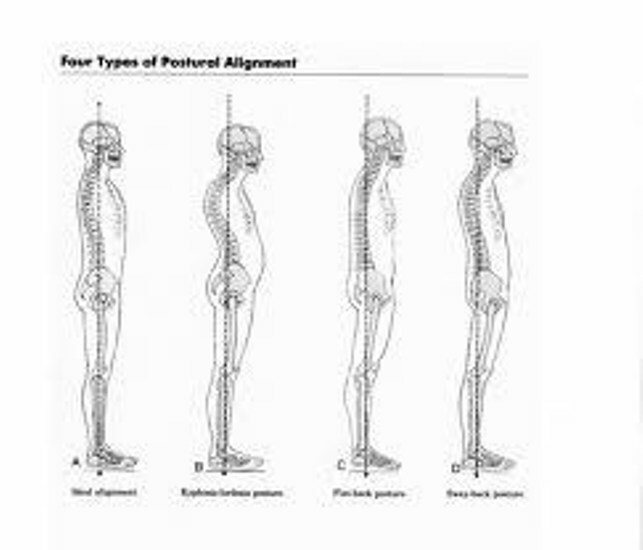 HOW DOES POOR POSTURE HAPPEN? Postural problems develop from one or more lifestyle habits, such as leaning over a computer terminal, lack of appropriate exercise, habitual slouching when eating, doing homework, or reading. 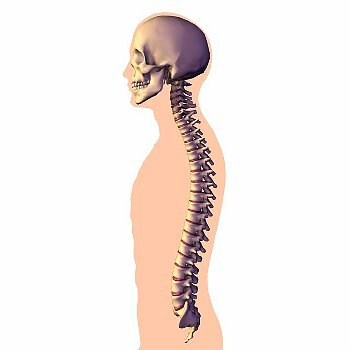 Pilates exercise can improve poor posture. Both women should begin their Pilates exercise routine with basic, modified exercises. Strengthen the upper back: Modified Breast Stroke, Modified Swimming on All Fours, Modified Double Leg Kick. Strengthen the abdominals: Modified Roll-Up With Pilates Band, Single Leg Stretch and Hundred on the Spine Supporter. Open the chest and the abdominals: Pilates Chest and Abs Stretch on the Stability Ball. 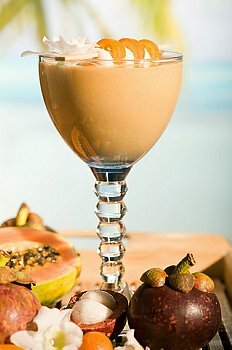 A sweet, filling drink with a smooth and creamy consistency. Healthy, quick, lots of fiber, and 155 calories. Put all ingredients in a blender. Blend until smooth and creamy. Serve in a tall glass. Replace the soymilk with your favorite milk. For a thicker consistency, experiment using plain yogurt instead of milk. Double the recipe for a bigger drink, or put some away in the fridge for later. Chill the ingredients if you prefer a cold smoothie.